Launching a community is no easy task. Whether your goal is case deflection, converting your free users to paid customers, or something else, a robust community solution is critical. Ask the right questions to determine total cost. Understand the different types of communities and how to have a multipurpose community. 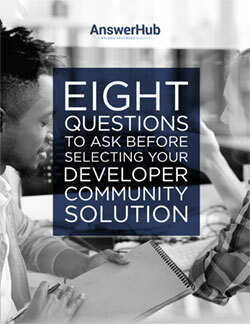 Whether you are upgrading an existing community that underperforms, or are starting one from scratch, our guide will help you understand what you need, what you might need, and how to ask for it.